Whether you are a first-time or repeat home buyer in Central Ohio, financing or refinancing your mortgage, we have a product to fit your needs. From adjustable to fixed rate mortgages, you’ll enjoy personalized service and competitive low mortgage rates. Let our Mortgage Loan Officers help you to make the right decision for you. New to the game? 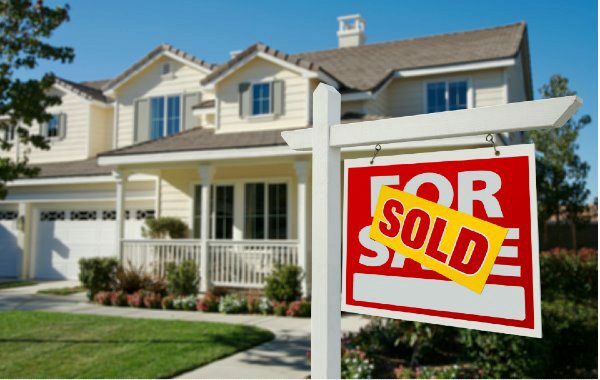 Purchasing your first home is an incredible milestone, but it can also be overwhelming. Getting a Mortgage Loan does not have to be complicated, so our goal at BMI Federal Credit Union is to ensure you have everything you need to get the keys to your dream home. Check out our First-Time Home Buyer Program. What's the difference between a Fixed Rate Mortgage and an Adjustable Rate Mortgage? A fixed rate mortgage is one where the interest rate is fixed at the time the loan is originated. It protects the borrower from future increases in the mortgage payment driven by changes in interest rates. It is very easy to understand and to budget around this kind of mortgage. An adjustable rate mortgage or "ARM" begins with a specific, fixed rate interest rate for a certain period of time. After that time expires, the interest rate fluctuates based on the mortgage's terms. They generally start with lower monthly payments than fixed rate mortgages do. Whichever type of mortgage you choose, you can still qualify for a Home Equity Loan. Home Equity Loans are based on the total value of your home and the amount of your mortgage loan principal you've paid, so that value - the equity - continues to build as you make payments. Home loan refinancing gives you the opportunity to get a new mortgage loan. The new loan supersedes your existing one and allows you to borrow the new principal amount at a lower interest rate. The monthly savings may not seem like very much, but they can add up to thousands or even tens of thousands of dollars over the lifetime of the loan. Naturally, you should only refinance when market conditions are right. How much are the typical closing costs on a refinance? Closing costs depend on the mortgage loan amount and other factors, and can only be estimated. You should generally budget $2,000 to $3,000 for closing costs. To find out more, speak to a Loan Expert who can help you determine likely costs. Call 614.707.4000 or visit your local BMI FCU Branch.